How Does a White Noise Machine Help Me Sleep? Better sleep is within your grasp, and you can get it naturally – once you determine the best white noise machine ever created. But, how do you know which one works best? These five white noise machines take previous technology and build on it, improving on it in every way so that you can sleep more soundly and overcome any distractions or nuisances that may surround your home or living area. In general, a white noise machine works by generating a soothing sound of a steady consistency. Your brain hears this sound, picking it up as a sort of gentle rhythm, and the rhythm rocks you to sleep, calming you down and preventing any distractions from reaching your conscious mind. Neuroscience and sleep studies have proven the efficacy of white noise machines, so you can integrate one into your sleep routine with the full confidence of widely-accepted science. Disturbances be gone! When you use this white noise machine, you can count on excellent sleep every time you lay your head down on your pillow. 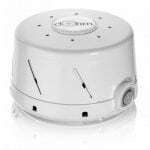 A white noise machine is just what you need to wake up feeling refreshed, rested, and rejuvenated morning after morning, your sleep deeper and more reliable, all those disturbances throughout the night eradicated once and for all. These are our five top picks for the best white noise machines available on the market. 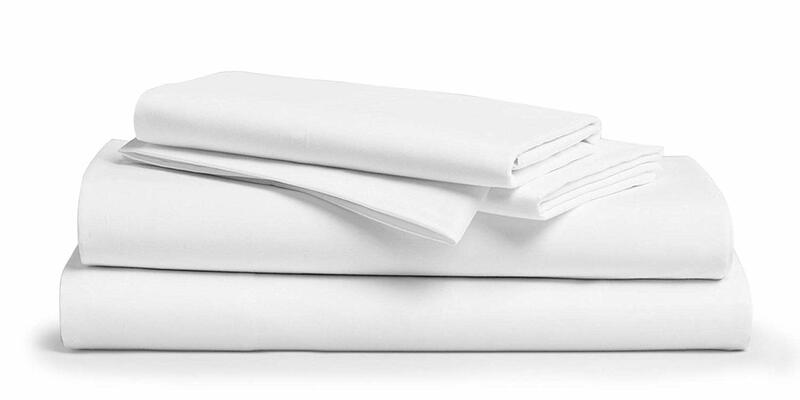 Read on to see why we have chosen each one and determine which one best fits your unique sleeping needs! How Does a White Noise Machine Improve Sleep? How Do The Best White Noise Machines Work? Who Can Use a White Noise Machine? Product Dimensions: 5.6" x 5.6" x 3.2"
Everyone needs sleep. Sleep, alongside diet and exercise, is crucial for the body functioning well. A good sleep ensures that the brain functions properly, and keeps away a lot of health issues. However, we hardly get the quality of sleep that our body requires due to various reasons. It might be a neighbour’s disturbance, the noises around you, or even your restless mind. And this is where the best white noise machine comes in. SNOOZ is a fan-based sound machine designed to get you to sleep faster and longer. It is equipped with a proprietary fan propeller strategically placed in an audio-optimized casing. It creates a peaceful white noise that facilitates your peaceful sleep by drowning out all the noise in your surroundings. Sleeping in your house can be tricky, but it can be even trickier to sleep on the road. With the 3.2” tall SNOOZ sound machine in your backpack or luggage you can worry less about going through the night without quality or no sleep. The SNOOZ works perfectly by reducing the delta between the containment noise and your baseline sound. And with a much reduced delta you don’t get to hear most of these disturbances, and other sounds become almost silent since the “startle factor” is reduced. You can count on this best sound machine to make your night peaceful. With an inbuilt ultra-efficient brushless DC motor the SNOOZ consumes the same energy as a 6W LED bulb. Impressive, right? Your SNOOZ will annually require 98% less power than an average box fan. The Big Red Rooster is light, small, and has many options. It comes with 6 natural sounds and a timer with the range of 5-60 minutes. It runs on an AC adapter or 3 AAA batteries. This best white noise machine has a front-facing speaker which provides excellent amplification. The Rooster measures 4 x 4.4 x 2.6 inches, so it's perfect for a bag or a suitcase when you want to go away. Volume adjustment is non-linear. Certain volume adjustment steps will cause dramatic changes in the volume, while other steps hardly change the output. The Avantek features excellent technology in its class. It offers both relaxing and natural sounds that will block out noise. It also creates great ambience. You'll be able to relax and fall asleep quickly. This best white noise machine will remove distractions so that you can concentrate on tasks. It also ensures privacy during meetings or conversations. The machine features several volume settings. You don't have to switch it off as there is an auto timer. Once you have set the sound that you want, you can set the timer and volume. You will get a very relaxing rest and the sounds will slowly fade when the timer goes off. When you turn this white noise machine on again, it will recall the last settings. There are several sounds on the machine: campfire, clock, crickets, birds, rain, waves, wind, and stream. The sounds are authentic and you won’t hear any scratches. The sounds will mask disruptive noises so that you can get a good night’s rest. The LED indicator light won’t disturb you as it is not too bright. By using your Avantek machine you will get a very comfortable sleep. The machine doesn't use a lot of power and uses a standby power of around 0.5W. To turn it on simply attach it to the USB cable to your adapter and the USB port. The USB cable is quite long, hence perfect for larger areas. The Avantek is very light, so you can take it almost anywhere. You'll get a comfortable rest when you use this best white noise machine. The editor has picked this machine for several reasons. It produces realistic and dynamic sounds as it runs the latest technology. You can reduce ambient noises with white noise sounds or the fan. There are 10 distinct sound variations and each one has adjustments. You can use it to drown out snoring, for privacy, or to block noises from neighbours. You can help to reduce ringing or tinnitus. 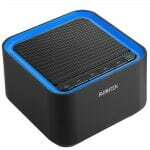 This best sound machine offers an excellent environment for reading, sleeping, or studying during the day. You can use it for meditation or yoga as it creates a very relaxing environment. You can get it in white or black and with a 1-year manufacturer's warranty. This product was first introduced in 1962 and this is the fourth iteration of the original machine. This is an efficient white noise machine that doesn't feature an electronic or digital recording. The Marpac uses a fan which creates the sound of rushing air. It is made with a distinct asymmetrical fan along with a two-speed electric motor. This best sound machine is encased in an adjustable portable acoustic casing. The device makes a relaxing sound of rushing air. This is referred to as Marpac Signature Sound. It blocks sound at various frequencies and provides an environment where you’ll have a very restful sleep. There are two speeds that come with this best white noise machine. You can control the tones and the volume as they are fully adjustable. There is a high- and a low-speed setting. It is possible to make the sound openings smaller or bigger by turning the cap. You have greater customization by adjusting the sound openings and speed until you find the appropriate level. You get an 8-inch card with this device, and it comes in several colors including white, black, and tan. The machine is very easy to use. Plug it in and flip the switch. If you want intense masking of sound, use the high setting. If you want less intense masking, use the low setting. The interface is simple. The instructions are straightforward. The sounds are very personalized. You can fine-tune the volume to your preferences. You can have higher pitches or lower pictures. This machine will give you the sound that you want. The device is portable, compact, and perfect for all environments. You can take it on the plane. White noise machines are devices that produce sounds similar to the popular natural white noise sounds around. Some create static sounds that are not common in real life but mask the surrounding sounds. The monotonous nature of white noise makes it suitable for the brain. It is used in creating a more private work or corporate space, especially when it is placed in the hallway outside an office. This ensures that conversations in the office which may contain sensitive data, aren’t heard outside. Sound machines have also found applications in the home. Both adults and kids can use them to create a relaxing environment that facilitates sleep. If you have a baby that wakes easily, you can use white noise to lull him or her back to sleep. It is also a great way of reducing insomnia, particularly in areas where there is too much noise. A sound machine continues working even when you are asleep. It constantly cancels the random noises that would ordinarily disrupt your sleep entirely or partially (micro-awakenings). It is even more interesting that you may not remember such disturbances in the morning. So you enjoy better and deeper sleep and wake up fully rested and restored with the best white noise machine. Below are our top five picks of the best white noise machines on the market, based on certain criteria. What keeps you awake is the context of the sound produced by the white noise machine, not the volume. That is why some people find it very easy to fall asleep in the noisiest places - the same way as our sleep can be interrupted by a distant noise from a construction site. There are two unique components in every audible sound. The first is the amplitude – the size of the sound waves. The second is the frequency – the number of vibrations produced by the sound wave in a second. It is measured in Hertz (Hz). A doubled or halved frequency is an octave. There are different categories of noise, and colors usually classify them. Each color (or group) represents distinct textures and audio signals. For instance, brown, blue, and pink depict sound waves that decrease or increase in volume in line with a change of frequency. Noise denoted by white – white noise – has the same volume irrespective of the frequency. It randomly combines all the frequencies that the human ear can detect and process. And when this occurs, we have the telltale ‘shh’ sound that is usually linked to white noise. From the technical perspective we can conclude that most white noise is in reality pink noise. Due to its ability to match any frequency, white noise may sound extremely high or low, and the human ear will most likely find such sounds too harsh. Conversely, pink noise decreases in volume progressively, i.e. per octave, thus offers a more balanced listening experience. Pink noise is commonly described as white noise with a lower bass-like quality with a more pleasant sound - some sort of sound similar to a stream of water. Pink noise masks disruptive surrounding noises better than real white noise. ‘Red noise’ or ‘brown noise’ is another type of pink noise, but it is deeper than pink noise. It decreases in volume faster, also at a per-octave rate. ‘Violet noise’ and ‘blue noise’ are sharp contrasts – they increase in volume with frequency. ‘Grey noise’ is another type, slightly more complex – the volume either decreases or increases, depending on the frequency, thus producing a sound of the same loudne​ss at all frequencies. The last is ‘black noise,’ which is complete silence. Even with these technical descriptions, ‘white noise’ is commonly used in describing any relaxing ambient or natural sound that masks background noises from the surroundings. White noise takes the brain’s focus away from external sounds, while helping you sleep faster and better. White noise machines with electromechanical parts are a few of the oldest and most user-friendly devices. The operation of these devices is based on a type of fan which comes with blades that are controlled by a small motor so that they rotate, move air and produce sound. The ones that depend on electronics utilize integrated circuits (ICs) and several other parts which power a speaker and produce noise through artificial means. Also, lots of them can imitate other types of sounds such as rain or electric fans. In addition, best white noise machines equally offer more control over the levels of volume. The two types come with certain advantages and disadvantages. Although the electromechanical machines are very dependable and absolutely user-friendly, they consume more electrical power and their features are limited. On the other hand, electronic-based types are a bit difficult to use and do not generate a pattern of natural sound. Notably, well-made versions are exceptional. In a few situations, their ability to produce sound is less effective and their capability to block power-range sound may be poor. In this range, the sounds that spring to mind include the human voice and snoring. Resultantly, it is important to choose a tested and well-made version of the white noise machine. 1. Natural sounds: gentle animal noises, wind, rain, waves. Technically these sounds are not white noise. However, they are classified as such and included in noise generators due to their relaxing features. 2. Ambient sounds: light traffic, crowds of people, burning fire. Some people will get restless when there is silence because they are used to activity surrounding them. Some of us even sleep faster and better when listening to the traffic (excluding the horns) or the muted conversation from a crowd. 3. Machinery: air fans, washing machines, dishwashers. Such devices produce a constant hum or drone of machinery that can relax the mind and brain. Volume: these devices come with adjustable volume settings. Size: Most often when you get used to sleeping with a white noise machine, sleeping without one becomes impossible. So it is advisable to buy a portable model that you can take on trips. Sound options: A couple of sound machines can produce multiple sounds: standard white noise, natural, and ambient sounds. White noises comes in variants – some favor pure white noise, others prefer the sounds of the ocean, rain, or fan. Your preference should be the determining factor when choosing a product. If you only like one of these sounds, go for a product that produces one type of sound. If you love variety, get a model that produces multiple sounds. Looping: You may not notice this feature in most white machines, because sound has been looped for a continuous listening experience. Sleep timer: some of us want white noise all night, others only until they fall asleep. The sleep timer is available on some of the best white noise machines and functions by automatically turning the machine off at a set time. Headphone accessibility: You will find headphone jacks in some white noise machines to provide a more personalized listening experience. In such models the speaker turns off as soon as the headphones are plugged in. So if you want to use a white noise machine without disturbing a roommate, get a model with headphones. Likewise, if you work in a noisy environment, you can get a similar model and use it without disturbing other employees. Alarm: Some white noise machines have an alarm that you can set. Power: Some machines run on batteries, others require electrical power. There are even machines that can be powered via USB cables. If you would like to travel with your best white noise machine or will stay where a wall socket is not at hand, get a model that runs on battery. You can also use these models even during a power outage. Even though a sound sleep is important for wellbeing, there are many sources and types of distractions nowadays that prevent us from getting one. But this in-depth exploration of the best white noise machines has given us ways to help the body and brain relax and get a deserved sleep. Even if you don’t have any issues with sleeping earlier and better, a white noise machine will help you create a routine before bedtime. Whether for adults or children, you can make sleep hygiene a habit with white noise. You sleep better in the ideal sleeping environment. With the best white noise machine you can filter out disturbing sounds and make your bedroom as quiet as possible, thus facilitate a sound sleep. We sometimes can’t sleep for different reasons, most times due to personal worries or thoughts of our things to do. However, white noise can be used to shut down the busy brain, making you feel relaxed and prone to sleep. With all possible sources of disturbances blocked, your peaceful slumber is guaranteed. Even if you wake up, you get back to sleep in no time. Although you may not realize or remember how often you wake up at night, the breaks in your sleep affect its quality. A sound machine can give you the high-quality sleep (with no disruptions) that leaves you more refreshed and recharged in the morning. Babies are no strangers to loud noises. After all, the womb is noisy. However, their immature nervous system, especially at birth, makes them sensitive to noises. Every human has a pre-programmed response system that reacts to loud and seemingly threatening sounds or sharp movements. This startle reflex makes babies flinch unknowingly, clench their fists, or even cry. Considering that babies don’t have a body clock, you will agree that it is rare for newborns to sleep well in the first few months. Although wrapping them up can reduce the physical effects of the startle reflex, sleep problems may persist. And in such cases the best white noise machine comes handy. It is a bit similar to the common shhhush-ing sound that parents make to comfort their children or make them stop crying, but baby sound machines offer additional calming effects that help babies sleep more soundly. Workers with irregular schedules or night shifts usually find it difficult to balance their body clock with external disturbances. From light to noise and other external stimuli, their brains receive signals that trigger natural reactions such as changes in digestion and body temperature or production of sleep-inducing hormones. With a sound machine that masks all background noises they can better regulate their internal clock and get a long quality sleep – up to seven or eight hours. A sound machine that can play continuously will be better for this purpose due to its ability to drown all external noises throughout the sleeping time. People who use white noise machines to mask background noise in a noisy office environment tend to perform better in complex and simple tasks than people who do not use the machines. Do you or your partner snore? Then you need the best white noise machine. It can drown the loud snoring out. If used properly, you or your partner no longer have to be kept awake and frustrated. Tinnitus is ringing in the ears. It can be masked or eliminated by a good sound generating machine. This may seem unusual, but dizziness and vertigo sufferers have reported significant improvement when they use sound devices. However, it remains uncertain if the situation improves due to users’ better sleep or the noise alleviating the symptoms of inner ear disorders. These people are particularly prone to distractions even by the smallest things that others easily and completely tune out. The constant drone of a white noise machine can help. Pets are also affected by their surroundings. And even they can experience anxiety. It has been discovered that pets sleep more soundly and feel better when exposed to relaxing sounds and constant whooshing noises. Despite being lifesavers, white noises pose a couple of dangers too. So we must exercise some caution while using them. It can be dangerous to expose young children and infants to white noise machines for extended periods. The effects include inability to perceive the direction of sound and delayed cognitive development. To prevent them always ensure that the volume of the sound machine doesn’t exceed 50dB. Do not place the sound machine too close to the crib, and don’t use it all the time. People suffering from tinnitus may end up forgetting that they have the condition if they use a noise-diminishing device too often. Considering that the condition is usually linked to more severe disorders, do not use your best white noise machine too often. You’ll reduce chances of developing tinnitus. What is the best white noise machine to combat snoring? Noise from snoring comes in different intensities, and a person who doesn’t snore will find it difficult to sleep or be easily disturbed during stages of lighter sleep by the consistent ups, downs, and sharp peaks of the snoring. With constant white noise or background sound the snoring peaks are not as pronounced or disturbing. The mind of the not snoring person focuses on something else. If someone snores moderately or does not sleep close to the not snoring person, you can place your best white noise machine on your bed stand. For loud snoring you will need a loud sound machine. 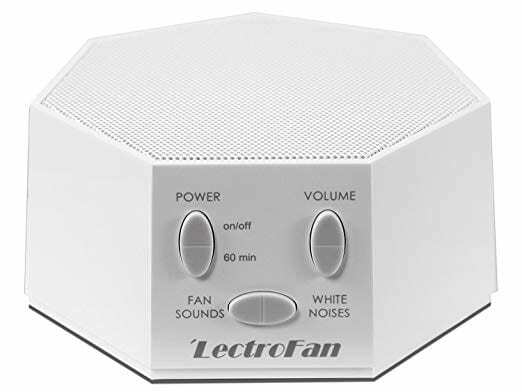 The LectroFan white noise machine offers white noise with an adjustable pitch, which can conveniently mask the snoring at the lowest volume. Its wider range of volume makes it possible to set from very quiet to very loud. When quiet, it emits about 30dB, and at its peak volume it emits up to 80dB (twice the maximal loudness in Dohm – about 70dB). Note that a difference of 10dB is considered twice as loud. But have you thought about the fact that a white machine at its loudest volume will most likely prevent your partner from sleeping? Of course it will. The solution here is that you both wear good snore blocking earplugs. Although this seems a bit inconvenient, it is considered quite effective for sleepers on their side. What is the loudest a white noise machine should be? The fact that your white noise machine is very loud doesn’t mean that it will perform better. To drown disruptive noises you need to set your device to a specific volume. So when getting the best white noise machine, ensure that it can deliver your preferred volume. It is advisable to keep the volume as low as possible, and instead of increasing the volume, set it to a different noise color and see the effect. It’ll most likely mask the disturbing noises better or allow you to relax more. Note that this option is only possible on devices that allow you to finely tune the color of your noise. You will not find such feature on white noise machines with a single white noise setting. 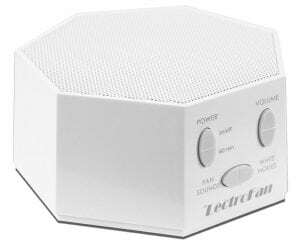 Where is it best to place a white noise machine? There is no perfect location – you will get what works best for you through experimentation. Try different distances, depending on the source of the noises and other factors like the layout of your bedroom or the location of electric outlets. Once you find a location where the white noise machine is effective at the lowest possible volume, you’ll have the best location. Is it advisable to use white noise apps instead of a white noise machine? White noise apps are best used for masking sounds occasionally. If you are seeking to drown background noises every night, you should consider buying a best white noise machine. This is because the sound quality of the apps isn’t good, and its clarity mostly depends on how good your smartphone’s speakers are. The apps offer fewer white noise options than the machines, and you may have to spend time trying to set them up every night. If you seek temporary help, consider using an app over listening to a white noise track. Most apps offer recordings that are 30 minutes long, so they can have a disruptive restart or even stop. Is it advisable to use music instead of white noise? Yes. Studies have shown music to be capable of improving the quality of sleep. However, the frequencies in music are not suitable for masking intrusive sounds. Thus white noise is still more effective for this purpose than music. When you listen to music, there are chances that it will trigger emotional responses, associations, and memories. All these combined may thwart your effort to sleep. Use music for relaxation, rather than blocking intrusive sounds. Can I use a white noise machine for my baby? There are recommendations of putting a white noise or similar sound machine in a baby’s room to help him or her sleep. But such practices become unsafe when you expose the baby to white noise machines that emit noise far too high for their ears. According to the American Academy of Pediatrics, newborns in neonatal intensive care units must not be exposed to sound levels higher than 45dB, or the babies risk damage of hearing. The next question is how to know the volume of the emissions by your white noise machine. You can use apps like NoiSee to get a good indication of the noise level where your baby sleeps, although the readings are not as accurate as those of a sound level meter. Always have your sound machine set to a soft level to ensure that it doesn’t interrupt haring soft conversations. Babies continuously exposed to white noise are at risk of delayed organization of the auditory cortex. As a precaution, do not expose your baby to white noise throughout the day. There is the need to expose babies to environmental noise and speech, as this helps them to develop proper hearing. If you are in the market for a best white noise machine for your baby, go for a model with a timer. You can use this feature to regulate how long your child is exposed to the emission. Lastly, consult your pediatrician before exposing your baby to a white noise machine, and be cautious about its usage, especially the volume. Can these devices be used when I travel? Yes. It is even more advisable to use sound machines on travels. This is because you are in a new place. Thus you may find it more difficult to fall and stay asleep. Get a portable and battery-compatible model. Is it advisable to keep my white noise machine on through the night? If you want to induce sleep without the interference of disturbing noises, you can set your sound machine’s timer to 60 minutes. For best results your white noise machine should fade the sound out gradually. If it goes off suddenly, you may wake up. White noise has been confirmed to alter sleep – the REM sleep can be shortened while the stage-2 sleep can be extended. So you do not need to keep the device on for the whole night if you only want to induce sleep. If a disturbing noise is going to continue through the night, set your best white noise machine to stay on through the night. Can I use my headphones while listening to white noise? Yes, you can. But note that you will get various frequency responses from different headphones and speakers. You may get inaccurate lower frequencies with small speakers; for example, your iPhone will render originally pink noise (when played on good headphones or home stereo) as real white noise. It is advisable to get a white noise machine that can be finely tuned to the color of your noise. This will make up for the individual hearing differences, different room layouts, different headphones and speakers, and a wide variety of disturbing environmental noises. Go for a white noise machine that has a speaker capable of reproducing the bass accurately. For instance, if you are looking to get a best white noise machine for your office or bedroom, a device with only one white noise setting coupled with a small speaker will not be ideal. Sleeping pill or a white noise machine? Which is better? White noise is better, as long as it works excellently. Our sleep structure ends up distorted when we take most sleeping medications. They can also be physically addictive. If you can mask these disturbing noises with a white noise machine and sleep faster and better, it is better than swallowing a pill. Even if external noises or disturbances do not cause your inability to sleep, your best white noise machine can be timed to about 2 hours to immerse yourself in sleep. And when you sleep deeper, the machine will gradually fade the noise out. Remember to expose yourself to pink or white noise only when you have issues falling or staying asleep. Doing it for any other reason can lead to negative results. What Is The Mechanism Behind The Functions Of Noise Machines? Sound machines are quite advantageous as they utilize sound to conceal and obstruct sound; thereby, making sure that it is not audible. These devices create a wide range of sounds like white noise that can cancel out various sources that can upset you. In as much as the levels of the external noise are near or lower than the volume of the sounds the machine is producing, they will not be audible. The best white noise machine offer an amazing way to finally enjoy dependable sleep. Sound machines are not going to eliminate the disturbing noises that we dread so much. Nevertheless, they will seem to be inexistent to our brain. These devices function by removing them with great effectiveness. Our brains are incapable of recognizing different noises when a huge array of them is infused – receiving all at a time gives the brain too much information to handle. For instance, have you ever strived to listen to two songs simultaneously? It is overwhelmingly hard to concentrate on any of the two songs. The same principle is applicable here. Simply put, annoying sounds are concealed or masked by white noise machines; thus, making sure that they are never noticed. Provided that the volume of the source of the disturbing sounds is similar to or less than what the machine is producing, it will be impossible for you to even notice the occurrence of the disturbing sounds. Since they will never be detected by your brain, you will not be woken up, disturbed or annoyed by the sounds any longer. One of the harder forms of sound to cancel out is snoring; therefore, it is vital for you to select one of the best sound machines for this job. When Is A White Noise Machine Needed? Your sound machine cabe be utilized for various purposes such as making an infant fall asleep, eradicating sound in an office, improving the meditative condition and lots more. Nonetheless, the best sound machines are usually utilized for improving sleeping. When utilized for aiding sleep, the various functions of these devices include canceling out the snoring of a companion or another person in the same home. This is capable of becoming a primary difficulty for individuals who sleep close to someone who snores or actually have mutual problems in that aspect. As a result of several disturbances in the world and the excess technological activities, it is now essential to enjoy a good sleep at night and enhance our personal welfare. Consequently, the white noise machine is gaining popularity in ensuring the relaxation of the mind and body at night. When considered deeply, the sleeping habits of a person is significantly affected by white noise. Creating a bedtime ritual, for both children and adults, is a nice concept and turns sleep hygiene into a habit. Sound machine helps to remove distracting noises and creates a quiet cushion. An ideal sleep time needs an ideal sleep atmosphere. With the aid of white noise, the brain is prevented from thinking excessively. Also, a few individuals take advantage of the best sound machine for meditation. Since the white noise covers up the noise that may disrupt your sleep, and even if you wake for whatever reason, the machine makes sure that you sleep again without any issues. The quality of your sleep can be affected by the seemingly insignificant disruptions experienced when sleeping during the night; however, white noise machine will certainly make you wake up feeling rejuvenated. It is not possible for you to modify every location that you visit; however, if a the best sound machine is there with you, you are capable of controlling the sound factor in the location. The recreation determines the perception of the white noise, including noticing a small alteration in the variations. Based on research, our brains are capable of noticing a change that is less than half db. This sensitivity is usually determined by the difference between a comforting soft white noise that ensures that one is kept engaged in a task and a mentally disturbing sound that negatively affects ones’ focus. The difference in this situation lies in a pin falling on the ground in the room or a pin falling on the ground in a neighboring room. These slight changes determine whether you will concentrate or not. New research targeted the impacts of the ranges of white noise and their effect on the output and concentration of a person. The outcome of the research showed that individuals who possess a high capability of concentration are capable of becoming more concentrated towards their activity if a small window of white noise is available. Babies cherish the white noise a lot. The initial stage of the life of babies is first spent in the womb which is undoubtedly loud; resultantly, the idea of loudness is typical to babies. Nonetheless, life becomes quiet for the babies outside of a womb. Therefore, white noise is comfortable for the babies. For babies, the most effective, simplest and affordable sleep aid is the sound machine. One of the exceptional tools that can be utilized to help you and your baby enjoy better sleep is the best white noise machine. Therefore, what are the ways through which white noise assists the little ones? Since there is more stimulation in the world than what the babies are accustomed to, they are stressed out about virtually all things. By eliminating the stimulations of other sounds, a homely space is created by the white noise for the babies. White noise assists babies to be able to sleep for an extended time and ensures that they enjoy more restorative light sleep. Furthermore, white noise conceals the noise of life that has the ability to interrupt the night sleep and naps of the little ones. Shushing is a form of white noise that we produce ourselves, and the major thing about making use of the white noise to calm a crying infant lies in increasing the volume of the white noise above the noise of the crying baby. The baby relaxes by utilizing the best sound machine to generate a sound whose volume is louder the noise produced by the crying baby. When you are on a journey, sleeping in a strange location and the bed may require some times before you are accustomed to it, and even when you are adapting to it, you need to leave with your luggage and go elsewhere again; thereby, interrupting your sleep. A few people can start sleeping well within a day or two of getting to a new place; however, there are lots of individuals who require a long period to get used to the new environment. Nevertheless, the sound of white noise can come in handy in such situations. There are lots of sturdy and easily transportable sound machines that you can take anywhere. Consequently, whenever you are traveling, to enjoy a peaceful atmosphere that is devoid of any distraction, the best white noise machine will be very useful for sleeping at night. Regardless of you are lodging at the place of a relative, in a tent, or in a hotel, the only thing required of you is to position a sound machine and allow it to ease your way into a sound slumber, making sure that you get the sought-after sleep after several hours of your journey. While we all cherish our dwellings, not all dwellings can be regarded as a haven of serenity, particularly if you reside in an apartment or multifamily residences. The various kinds of distracting sounds coming from the people in the vicinity, or your household clustering over you, or the distracting sounds entering into your home through the walls can become significantly disturbing. One of the unrivaled methods to reduce the disturbances in your residence is to take advantage of the white noise machines to add noise to the residence. The best sound machine is an extraordinary way to subdue the distracting sounds and voices and to introduce nonstructural sound to the overall area so as to cover the undesirable sounds. In theory, in case you reside in a small apartment or residence with your family or even with overzealous companions, you would desire a long passageway or a distance of a few floors between you and the origin of the unwanted sound. However, if you do not have the best white noise machine, your common attitude would have been thrown out of the window by now. Through the addition of a layer of flat, neutral sound, the sound machine reduces the distracting noises. The device can even be used for making a telephone conversation, or in case there is a roommate in the adjacent room, or to mask the disturbing sounds coming from the nearby residents. Increasing the volume of the white noise machine produces a partition and offers you some saneness. Inside offices, open spaces are synonymous to quietness, and it is very likely for the sounds of discussions to move across the workspace. Nevertheless, when the subject of discussion is sensitive and private, there is a need for you to be extremely careful to prevent the information from being stolen. You can utilize white noise machines to conceal these sounds and discussions to ensure that nobody hears them. Furthermore, shocking reduction in the efficiency of employees can occur when a workplace is either too quiet or too noisy. Nonetheless, the best sound machine is capable of assisting you to safeguard the privacy of the workplace and also enhance the efficiency of the workers by establishing a perfect environment. Tinnitus is known as a non-auditory noise that is produced inside the body. Nevertheless, genuine and external sound can be utilized to neutralize how the body perceives and responds to tinnitus. The sound of tinnitus can be effectively covered up by the sound machines. During the process of covering sounds, there is an exposure of the patient of tinnitus to external sound that is created by the white noise machines in a volume that is sufficient to totally or partially mask the noise of tinnitus that is being perceived by the patient. Where Do We Use White Noise Machines? White noise machines are our companions. Noise is literally produced by the sound machines to make sure that your brain becomes accustomed to the faint background sound and calms down before falling asleep. The regular sound aids the process of clearing your mind for yoga or reading before going to bed. It might even ensure a good night’s sleep. The second advantage of the best white noise machines lies in their ability to offer a homogenous background. It blocks the sudden changes in noise that could have woken you up at night or disrupted your sleep cycle. Resultantly, you get a beautiful and well-relaxed sensation in the morning – a rare and awesome feeling nowadays. There are no fixed rules concerning where or when these devices should be utilized. You can use one anywhere they are needed! One is required anywhere or anytime there is a need for you to cover up background noises (particularly when an individual snores near you) that affect your ability to concentrate or relax. Our mood and emotional condition are affected by sounds like the human voice (when people are laughing and talking), a television, snoring, loud music and so on. The effect of outside noise goes beyond just making it difficult for you to relax and enjoy your quiet time within your dwelling; it is capable of causing stress and destroying your concentration and productivity. How Do I Operate A White Noise Machine? It has been recommended by manufacturers that you should not position a white noise machine close to your bed, but rather some feet away. Ideally, endeavor to position the machine in a place closer to the location where the disturbing sound is coming into the room. If positioned further away from you, you would have the privilege of increasing the volume than you would if it is placed close to you. In a few situations, you may need extra machines. Using your best white noise machine is basically easy; hence there are some procedures involved in setting it up. Optimally, it should be positioned in a decent place further from your bed, at least many feet, and higher above the ground if feasible. There is a need for you to make some adjustment to the volume so as to cancel out the snoring sounds you can hear. If you place the machine near your bed, you are probably going to reduce the volume significantly and this will have an effect on how well it performs. If it is positioned on the floor, there is a great likelihood of sounds getting into it easier than when placed on a table or desk. Think about the location from where you hear the sound is getting into the room. Only some procedures are needed to set up a sound machine: make the needed adjustment to the volume to a level that is comfortable enough to cancel out any disturbing sounds and select your favorite sound tone or type. Excellent locations for white noise machines include tables, desks or nightstands (in different areas of the room). Although you are allowed to utilize them near your bed if you need to do so, it is not suitable. The perfect situation would be placing your best white noise machine at least three feet away as it ensures that more areas of the room are covered. This shows that rather than placing the product on the bedside table or nightstand, you are better off putting it below the window to prevent it from being affected by traffic sounds or close to the door to hinder sounds from getting in from other rooms. Nevertheless, these locations are just popular instances. For the sound machine to work effectively, consider adjusting the volume level of the machines in different places in various conditions. By playing around with the device and adjusting it, you will finally get an impeccable sound-blocking atmosphere for your privy spot. What Is Best Type Of Sound Machine? Lots of people would rather choose these sounds whenever they want to sleep. Furthermore, there are several different colors of noise such as red, violet, white, gray, and brown. A spectral design of the noise in different applications is represented by these colors of noise. Assuming that you prefer sounds of a fan or white noise; it is possible that you want the best white noise machine with original sounds. The sound from this machine is dynamically created through an algorithm that produces a genuinely random sound, or an authentic fan in an acoustic housing that can be adjusted. The volume and the tone of the sound can be changed to fit your individual choice in an excellent manner. In case that you like rainforest sounds or other sounds pertaining to nature, digital sound machines will be more suitable for you such as a fireplace, rainfall, ocean, waterfall, brook, meadow, meditation, city, train and so on. 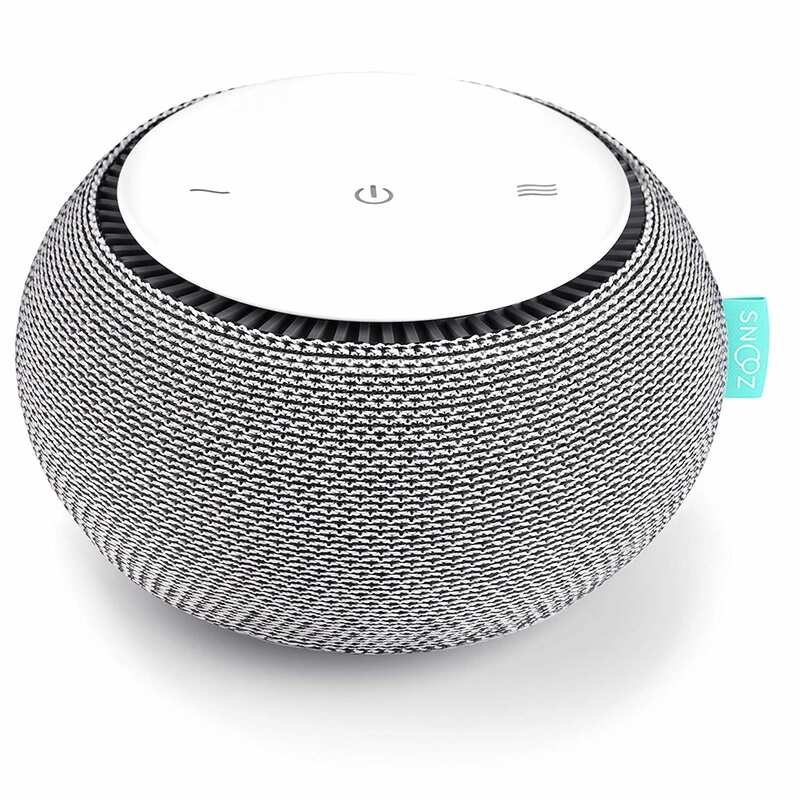 If you are into traveling broadly and living in a condition that is extremely loud, then you should go for the best white noise machine that generates a sound that is static. A sound machine with regular white noise or a wave-modulated pattern can be selected in such a case. Similarly, you should also ensure that the chosen device comes with a plug adapter that is suitable for international travels. Conclusively, for any white noise machine or sound machine you choose, the major element is the placement. Several individuals might just position their sound machine on the nightstand; however, the device would probably perform better if located in another place in the room. The current world is not cut out for giving people enough free time and the ideal environment to get quality sleep. And the chances of getting enough sleep keep reducing by the day. Several factors contribute to our lack of sleep, including noisy neighbors, crowded busy cities, and snoring. However, we can effectively balance out all these annoying sounds with a best white noise machine, while creating the ideal surroundings that give us the blissful sleep we seek. I’m so glad to come across this article. It can be impossible to find a good white noise machine, much less the best! I really appreciate that you included a variety of price points especially because not all of us have a spare hundred dollars to spend on something like this. I’m trying to help my wife sleep through my snoring by finding the best white noise machine available. I think the SNOOZ White Noise Machine would be a good choice. I like the fact that it’s small so it would be easy to travel with. I also like that it’s easy to use because I don’t think she’d appreciate something that would take a lot of work to learn how to use it. I’m in the market for the best white noise machine. We have tried a few but none here on the list yet. In my search for a solution to my insomnia, I found snooze which has now become a family addiction as my husband can hardly sleep without it. This noise machine is excellent and easy to use. It’s easy to set up, and it is operable using your cell phone to turn it on and off. After seeing the wonders its capable of bringing to his sleep, my husband now wants it turned on earlier before going to bed to allow him to sleep more comfortably. For my family, snooze is a fantastic sleep aide we can’t do without it! What a lifesaver the LectroFan sound machine is! it is yet the best experience I have ever had. I have a neighbor who wakes up around 6 am every morning to scoop gravel on a concrete surface, using a metal shovel. As the area is about 4 to 5 feet from my window, the noise gets so annoying that I frequently felt like breaking his arm, getting away with his shovel or even burning his house down. You cannot blame me; I already suffer from insomnia, and when I finally force myself to sleep, there he is in the early hours of the morning, trying to cut my life short!. So, when I got the LectroFan, things have changed for me BIG TIME; not more rackets from the pesky shovel or the toilet flushing next to my room, or barking dogs. In a nutshell, this white noise machine is incredible and has a range of volume options to choose from. I sincerely recommend it. My husband now has no trouble falling asleep thanks to the Big Red Rooster sound machine that makes it possible. Living close to the railroad isn’t funny; we do not have much option because our house is located right on the way to a flour mill making the train stop behind our house for loading and offloading. Thus, during the train stop and take off time, the rumble of the engine makes sleep very uncomfortable. Just that we could sleep, we have searched for the right noise machine without success until now. The Big Red Rooster has six sounds settings that are useful to lull you to sleep. It features a timer to shut off sound; you can choose to keep on the sound throughout the night. Since we bought this noise machine, my husband has gained perfect sleep momentum and will go back to sleep if he wakes for reasonable cause. Seeing this machine works wonders for my husband, I am confident to recommend it to you. Since I have been using it, the AVANTEK has been helping me sleep so I no longer need a fan or other sources of white noise. Moreover, I got one for my son’s room to keep ambient sounds at bay while he is sleeping or resting. For that reason, we used to buy several air purifiers in the house, but I worried a lot about a fire hazard because of the level at which we used them. This sound machine is definitely a good substitute. 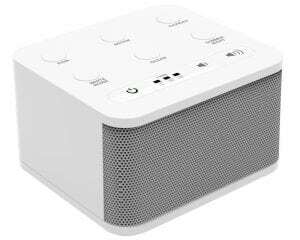 Overall i consider the AVANTEK one of the best white noise machines on Amazon. I decided to try the Snooze white noise machine after I’ve read several reviews on this website and I can say proudly that it does exactly what it says it would do. When you live in a city environment here, loud sounds are a way of life and you need a way to escape the annoying noises! There was a time I had a night at Moxy in Time Square during a trip to NYC. This small joint is excellent, but its location on a noisy street leaves much to be desired. In fact, they had to supply little earplugs to help keep the noise out while you sleep. But my case was different as i had the Snooze next to me! My stay at Moxy presented the perfect environment to test the gadget’s noise killing ability. I must say it smoothed out the surrounding noise and I could sleep without any disturbance. I slept all night like a well-fed baby till early hours in the morning without any disturbances, and it as when my alarm clock woke me in the morning that I started to hear the sounds of trucks and their beeping noises. The Snooze completely muffled the entire noise, and I felt great and proud my little companion did such an excellent job of guarding my sleep. Above all, I think this white noise machine is my best buy in a long time! I was doubtful about whether I should get a sound machine or not. But, I was going to get anything I could lay my hands on as long as it would help me sleep better, as my neighbors were boisterous. My home is an apartment complex, and neighbor’s kids are very wild and playful while they stomp on the floors and shout during midnights. The Marpac white noise machine has not only helped in keeping me from these noises but also helping me get a substantial amount of rest. Thus, my health and mood turn out better and more refreshed by morning, since I have reasonable hours of uninterrupted sleep. I like the compact construction of this all natural sound machine, and I love that the connection cord is long enough to place the device over a table or desk without any stress. You can also turn the center and top part to regulate the type of sound it produces and the one that suits you. The sounds this machine produces are either in the low volume or the high volume, which will help you get to sleep easily. The Marpac is so proficient that I no longer hear any noise from the outside traffic from my bedroom, although I can still hear few my neighbor’s noises since they are very close to my bedroom wall. However i consider this sound machine one of the best, and I am really happy with it.